If you're one of those privacy freaks who is constantly worried about leaving personal traces every time you connect to the Internet, then GPS is definitely made for you. With GPass you can browse the Web, check your email, chat with your friends or download files – among other typical Internet-related activities – in a totally anonymous way. 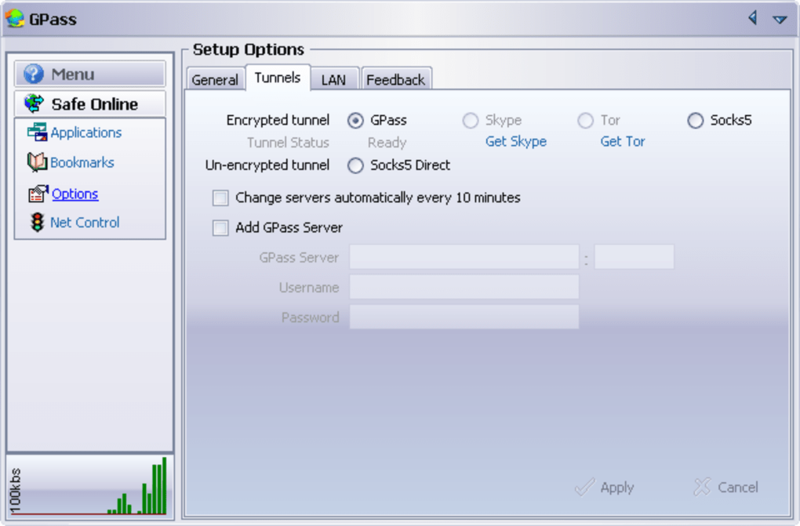 GPass prevents any third party from tracking your movements by hiding your IP address and encrypting your online communications. So how does it work? 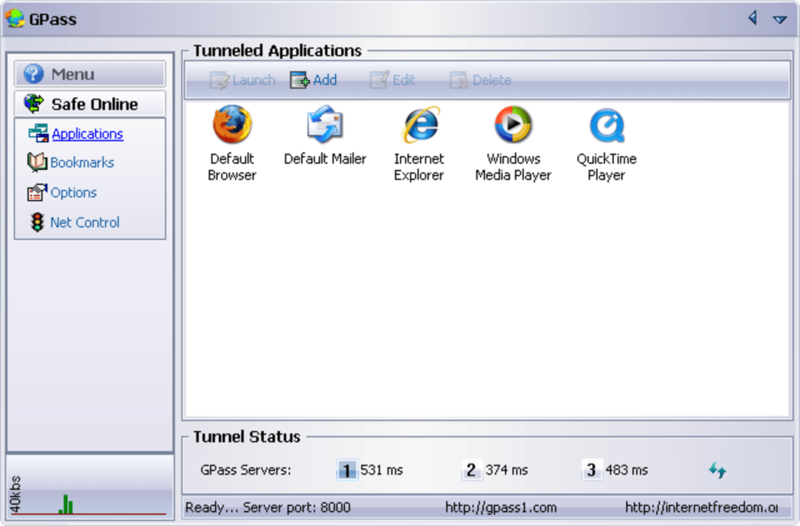 GPass tunnels all of your connections through its own servers, which work as a kind of security proxy. 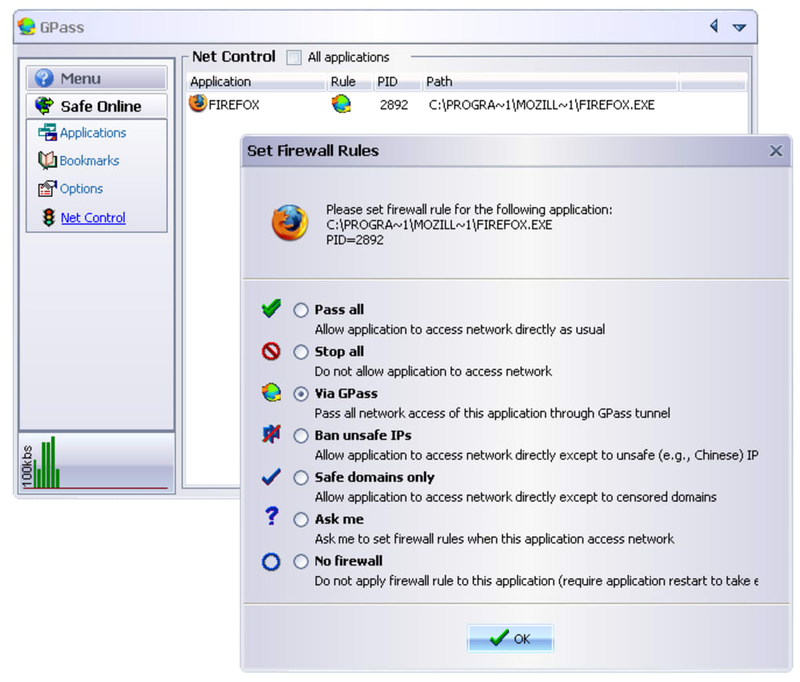 Of course, this means that you can also bypass any censorship or blocking measurements applied to the network in your office or school. 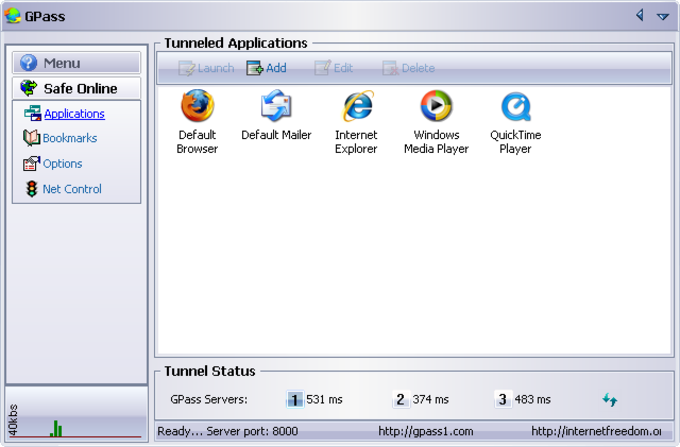 It may sound a bit too techie, but GPass is really easy to use: all you have to do is add the programs you want to use anonymously to the "Tunneled Applications" list in the program's main interface. No complicated configurations or technical skills required. 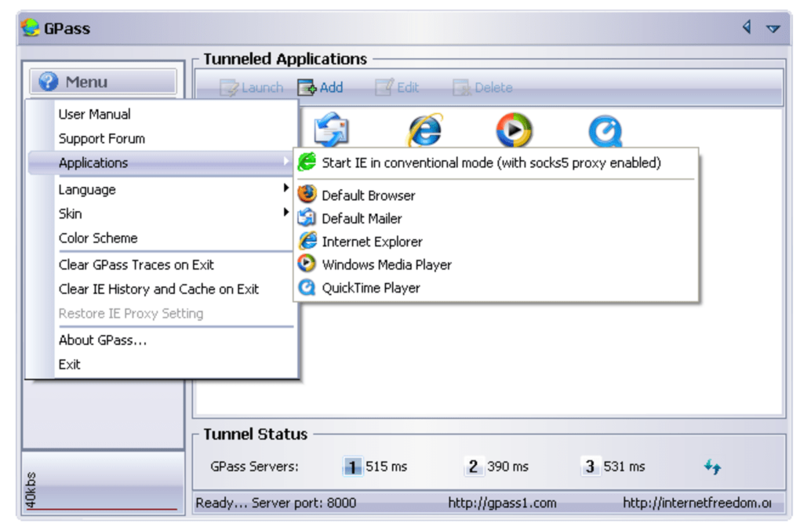 While GPass may be a handy tool for all those users worried about their privacy online, it does have one main drawback: it slows down your Internet connection a lot, so you'll need to decide if prefer to be faster or safer. With GPass you can make your Internet activities completely anonymous, although this means sacrificing a little in terms of your connection speed. How does it work?. I have loaded GPass but there is no sign that it does anything. When I double click on say.#, either IE or Firefox item I see no sign of any 'action'. I don't think it is doing anything. What do you think about GPass? Do you recommend it? Why?